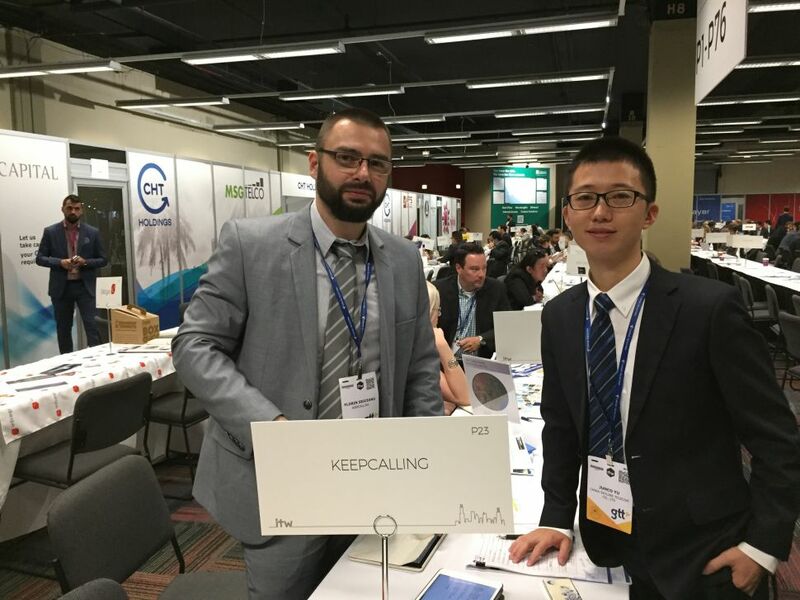 Between May 14-17, all eyes in KeepCalling turned towards our Telecom Specialists, Vlad & Florin, who were attending ITW 2017 in Chicago. On their return, we picked their brains to find out everything about their experience at this huge telecom event. KC: How important is this conference and how many companies attended it? Vlad & Florin: This conference is probably the most important one in the telecom industry. It is the place where vendors meet buyers and where new partnerships are created. This year there were around 2,000 attending companies. KC: What is it like to meet Etisalat or Bharti reps in the hallway? In other words, what opportunities can you see and what sensations are inevitable when you are one step away from carriers that are so familiar to you? Vlad & Florin: It is always a great feeling when you meet people working for huge companies because usually they have a lot of knowledge on the telecom industry and there are plenty of things to learn from a short 30 minutes meeting. It is also interesting to find out how they approach similar issues and we realize that most of the time we have very good and up to date procedures. KC: What was your main interest or direction for this year’s event? Vlad & Florin: Our main focus this year were smaller providers that have specific destinations to offer at a great cost and good quality, and as usual meeting tier 1 carriers that can help us with our main destinations. Besides new potential carriers, we also met with our current providers in order to strengthen our partnerships and find new opportunities. KC: What impressed you about this year’s event? Vlad & Florin: It was quite impressive that there were several vendors that we interacted with and they knew quite a lot of things about our business line. KeepCalling as a brand is being recognised more and more among providers and competitors. KC: What was the focal area for us? The roundtable meetings, the speakers, the exhibitions, the networking, raising our profile? Vlad & Florin: The ITW format is shaped around bilateral tables and networking, so most of the discussions took place in organised meetings. Besides this we attended a few networking events sponsored by big companies and had some business lunches with current partners. KC: What caught your attention about the US? Vlad & Florin: The parks in both Chicago and NY were great, with a lot of facilities, like free tennis and basketball courts, running tracks, workout areas, and plenty of lawns to lay on. Lake Michigan is huge, giving the impression of an ocean, with people going to the beach and riding their bikes on the lakefront. KC: How did you spend your time outside the conference? Vlad & Florin: We tried to get the most of the city vibe, by walking the streets, enjoying the parks, and the lakefront.